The new TubeMeister Deluxe is a jaw dropping, powerhouse of an amp all in a small lunchbox size design. Capable of pristine, beautiful cleans to rugged high-gain distortion, all based upon the channels of H&K's flagship TriAmp Mark 3. Whether on stage or in the studio, the TubeMeister is equally at home. Built in power soak allows for 4 different wattage settings. The built in Red Box Ambience Emulation DI allows you to connect directly to your recording setup or a PA. 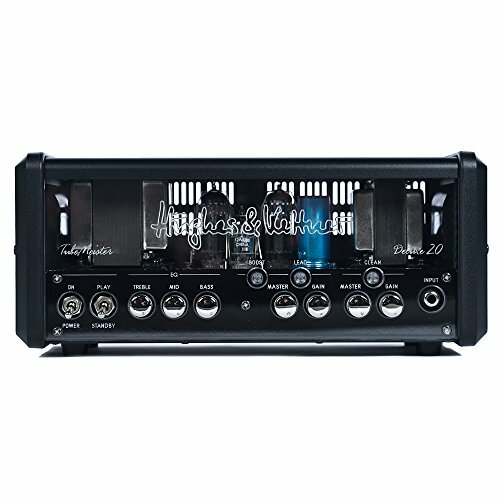 Cabinet emulation and a head-rush of tube tone, this is one amp that truly sounds great anywhere.